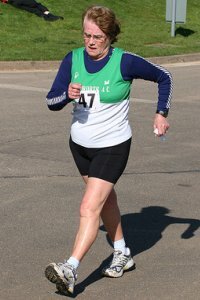 2009: 5 races 10,000 metres completed. 2008: 7 races 25,000 metres completed. 2007: 17 races 64,000 metres completed. 2006: 19 races 77,045 metres completed. 2005: 12 races 50,000 metres completed. 2004: 4 races 20,000 metres completed.